With the help of travel organizers, packing for travels can be a breeze! Our Travel Gift Bundle comes with the top 5 travel essentials that have been crowned must-haves by travellers. If you or your loved ones are travelling soon, this would definitely aid them in having an organized luggage! Save 5% with our exclusive Travel Gift Bundle! With a lovely design coupled with unique features, our Allure Luggage Organizer is certainly a travel essential that you’d love! Its lasting material and soft-to-the-touch quality ensures that it is the most thoughtfully-made premium organizer. The Allure Luggage Organizer comes in a 8-piece set, allowing you to organize your clothes, shoes, toiletries, beauty essentials and more – isn’t it an all-in-one package? Bring it along for your next trip today! Have a well-made and exquisite pouch with our Premium Bag-in-Bag Organizers! Coming in 2 sizes to suit your needs, this beautiful organizer allows you to store your cosmetics, cards, water bottles and other daily essentials with ease! Besides, it has a handy bottle or umbrella holder to keep the item upright in your bag – Saving space and keeping it organized! Say goodbye to messy bags with this bag-in-bag organizer! Keep your digital gadgets and accessories organized with our Digital & Charger Organizer! Well-designed and functional, say good-bye to messy cables and tangled headphones. 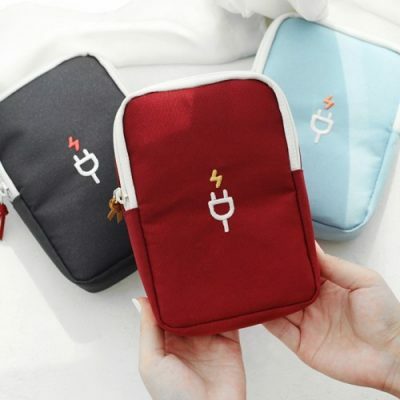 Not to mention, this pouch is able to protect your phone, camera and powerbank as well! Pick one up and let it accompany you on your next trip! Organize your makeup and beauty essentials in gorgeous fresh prints with our Citrus Multi Compartment Organizer! This unique pouch features adjustable inner pockets that allows you to customise the number of compartments based on your needs. Lined with protective materials, travel with your must-have makeup effortlessly today! Beautiful, protective and well-made, our Classy Jewellery Travel Organizer is the perfect companion for your accessories on the go! Featuring a two-layer design, it has dedicated and adjustable slots for your earrings, necklaces and rings. With a built-in mirror, you can be sure that you will always stay classy on your travels! This classy and well-made bag is one of the most multi-purpose pouches we ever had! Light, splash-proof and durable, you may use it as a cosmetic bag, a toiletries pouch or a bag-in-bag organizer! One unique feature of this pouch that it has a hidden built-in wireframe at the top opening which allows the bag to stay open when required and give it extra support! Besides, it has a flat base which allows the bag to stands on its own! 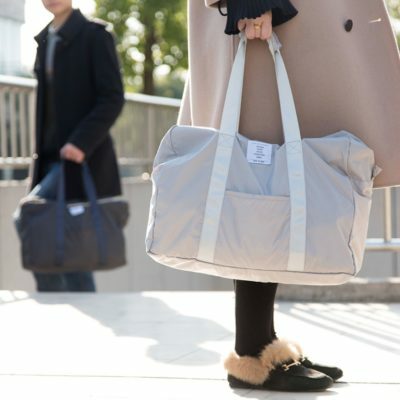 Be sure to check out this multi-functional bag! Our Hoodie Comfy Travel Pillow is the must-have essential that helps you get that perfect sleep while on the go! Featuring a hoodie that could be folded and kept within a zippered compartment, you can now rest undisturbed! When it’s time to go, click it onto your luggage or bag and you are good to go! Besides, it comes with a removable exterior for easy washing! You might be interested in our Foldable Travel Eye Mask! Uniquely designed and made with quality materials, our Le Fleur Passport Organizer is a beautiful passport holder to travel with! As it name suggest, the holder has classy floral prints that will go well with any outfit! On the inside, it has plenty of pockets and slots to protect your passport, boarding pass and other essential documents! Besides, it features a handy pen holder too! Now, bring this beauty to your next go-to destination! 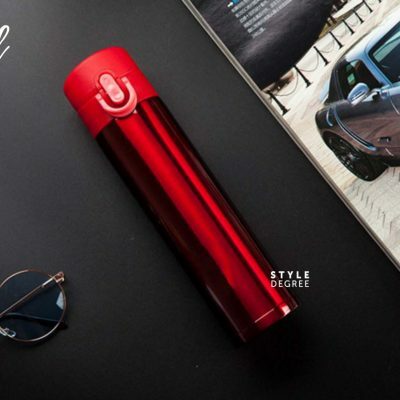 Sleek and uniquely designed, our Pattern Premier Thermal Flask is one of the most beautiful thermal flask we’ve ever seen! Coming in 6 styles, it features a stainless steel interior wall which is able to keep your beverages (both cold and warm) at the perfect temperature for up to 8-10 hours! It’s perfect for office workers, students and travellers to colder regions! Be sure to make this your daily thermal flask today! Our Weekade Passport Organizer (S) is an exquisite, simple and well-designed passport holder! Whether you are heading for a quick get-away or a long holiday, this cover organizes your passport, flight tickets, maps and cards, keeping you neat and tidy always! Plus, it features a unique buckle to keep your essentials secured! Be sure to bring this compact passport organizer along for your next adventure! You may be interested in our Weekade Passport Organizer (L)! Elegant and compact, our DailyLike Cross Body Bag is perfect as your casual carrier or travel companion! It features detachable shoulder sling which allows it to double as a clutch bag as well! On the outside, it has a pocket for smaller items (the hooks for attaching the sling are well-hidden in this pocket as well) On the inside, there are 3 main compartments and 1 small zipper pouch to keep your belongings organized and neat! Browse the photos below to learn more! 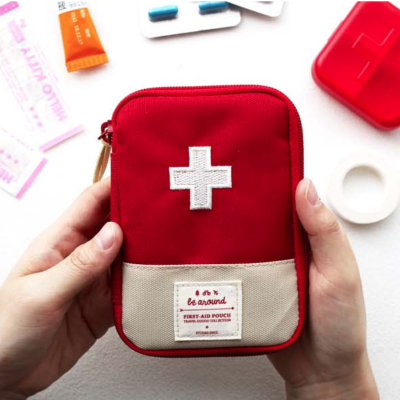 Stay safe while you travel overseas with our First Aid & Medicine Organizer! 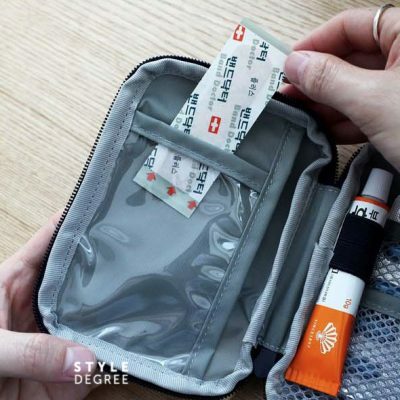 Though we hope you will never need it, this handy pouch stores essential medical supplies like plasters, cream, medicine, eye lotion and more! Coming in 2 sizes (Regular or Large), get one now and feel protected for the rest of the trip! Interior: Slots for plasters, medicine & more. Holder for cream tube. Our well-designed Business Shirt Organizer keeps your shirts neat and crease-free! This pouch not only prevents stains but its sturdy frame prevents your clothes from being crumpled! Beside, it has a handy side pocket to store ties, cufflinks or other personal items. To use, simply insert a couple of folded shirts, attach the velcro securely and you are good to go – it’s perfect for your next business trip! Includes: 1 x hard cover plastic which allows you to fold your shirts around it for added support! Slim, light and yet designed with quality materials, our Regular Thermal Flask is undoubtedly one of our most popular thermal flask! 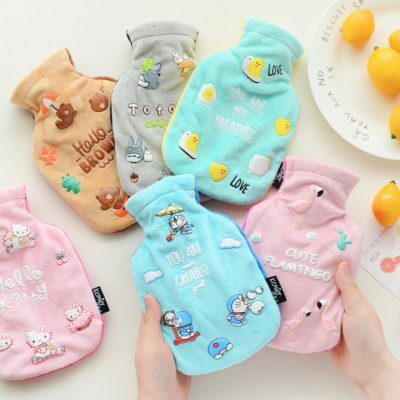 Great for your travels or daily usage in the office, it keeps your beverage at the temperature you want! Be it hot or cold drinks, the Regular Thermal Flask is your trusty companion! Adorable and functional at the same time, our Adorable Pets Luggage Organizer is a must-have for any animal lover or kids travelling! This 6-piece set is wonderful for organizing clothing and undergarment in your luggage. 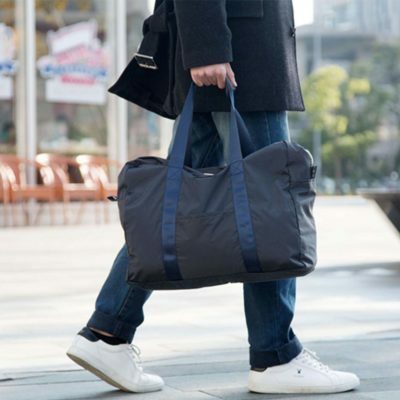 Now, you can pack more and stay neat for your next trip! Coming in 4 unique designs, be sure to bring these ‘pets’ along for your next holiday! Beautifully made with quality materials, our Adorable Travel Toiletries Tube is a perfect essential for the pet-lover traveller! Designed to be compliant with airline regulations, you may now bring along your bathing soap, moisturizers and other beauty lotions onboard your flight. Exquisite and classy, our Artisan Passport Organizer is the perfect travel partner for your passport! Aside from its lovely design, it features plenty of pockets and slots for your passport, plane tickets, cards, itinerary and travel documents. This holder even has a pen holder! Effortlessly organized your travel must-haves today! Travel in elegance – Shop our Artisan Travel Series! Compact and adorable, our Cactus Toiletries Travel Organizer stores your body soap, shampoo, facial lotion and even beauty essentials easily! Its slim design helps to maximise luggage space while the hanging hook allows you to hang it for easy drying and reaching – Just perfect!